People who have fall allergy and asthma problems often feel worse during late summer and early autumn months. As vacations wind down and kids go back to school, they're dealing with sneezing, wheezing, and coughing once again. Some people have to tackle allergy and asthma symptoms year round because they're triggered by substances found in their everyday lives. Other people, however, only deal with symptoms at certain times of the year or in certain environments, like outdoors versus indoors. And while some have allergic asthma symptoms year round, they find it gets much worse in the late summer and early fall when certain triggers are most present. Kids with asthma and allergies can typically experience "the allergic salute"— dark circles under their eyes as a result of nasal congestion. If symptoms are year-round, they may increase in fall as a result of the season's specific allergens. Seasonal allergies can occur at a variety of times and places depending on climate and location. 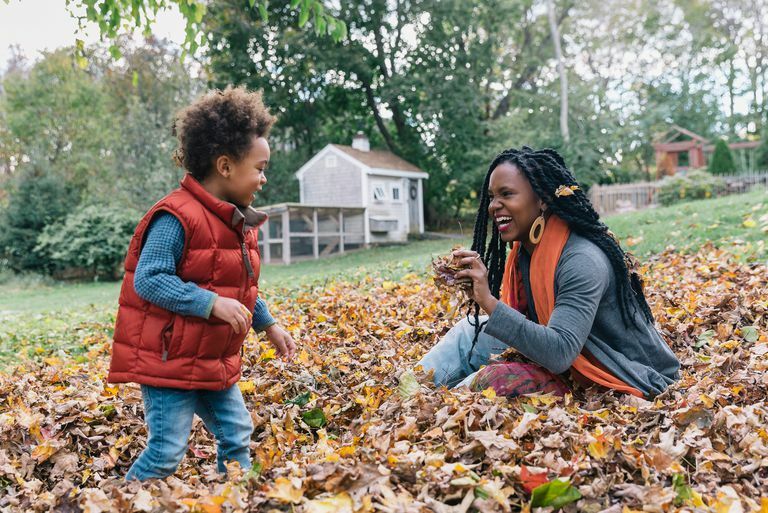 When summer starts to wind down, harvest time begins and autumn leaves begin to change color and fall to the ground—chances are that fall allergy and asthma challenges are about to begin. Another type of allergen that is most active during the fall (although they can begin in late summer) are mold spores. Mold and its spores are a powerful allergen in people who have allergic asthma with sensitivity to mold. Molds don't have a specific growing season as pollen does. Their growth is related more to environmental factors, such as heat, wind, and humidity, rather than a time of year. Since heat and humidity are often highest in the late summer/early fall, that's when mold spore levels are highest in many areas. In temperate climates, such as the southern United States and western United States coast, outdoor molds may be active year round. Outdoor molds are found in piles of dead leaves, soil, vegetation, and rotting wood. If you notice that your symptoms get worse during the autumn season, there's a good chance that you have fall allergies. See your doctor or allergist to find out for sure and learn about tests and treatment options to identify exactly what weeds or molds you may be allergic to. Research pollen and mold counts in your area. Many local weather forecasts will report on mold counts during this time of year as well as pollen counts. You can also check the National Allergy Bureau which reports both pollen and mold counts. Stay indoors as much as you can when pollen and mold counts are high. On hot, humid or damp days, mold counts tend to be highest. Pollen counts are high on hot, dry, and windy days. Keep the windows closed and the A/C on when you're inside or in the car. Turning on the A/C even when it's not hot out will keep mold spores as well as pollen from entering your home or car. The air-conditioning unit should be equipped with a HEPA filter. Oral Antihistamines. Antihistamines work directly on the underlying allergic response and are sometimes combined with a decongestant. They are usually cheap, over-the-counter, and can cause drowsiness. General brands include Benadryl (diphenhydramine) and Chlortrimeton (chlorpheniramine). Nondrowsy alternatives include Claritin, Zyrtec, and Allegra (not over-the-counter). Nasal decongestant sprays. These relieve nasal symptoms on a short-term basis. If overused, they can make nasal symptoms worse. Use them with caution. Nasal steroid sprays or nasal cromolyn sodium. Prescription nasal sprays, such as Flonase, are quite safe and effective, working only where needed. Eye drops. Exercise caution when using drops, such as Visine Allergy, as they can further irritate symptoms. Natural tears type eye drops are the gentlest while Alaway or Zaditor are for more severe symptoms but still are over-the-counter. Prescription eye drops may also help. Natural alternatives. The idea behind a saline nasal rinse/irrigation is to wash out molds, allergens, and mucus from the nasal passages with salt water (saline). This is both gentle and effective and available over-the-counter in most drug stores. American Academy of Allergy Asthma & Immunology. Allergic Rhinitis. AAAAI. 2008. Expert Panel Report 3: Guidelines for the Diagnosis and Management of Asthma. NHLBI Guidelines for the Diagnosis and Treatment of Asthma. National Heart Lung and Blood Institute. 2007. Do You Suffer From Summer Allergy-Induced Asthma?